Lenovo has unveiled its first mobile monitor which is targeted at traveling professionals who want an extra screen space for work that requires multitasking on the go. 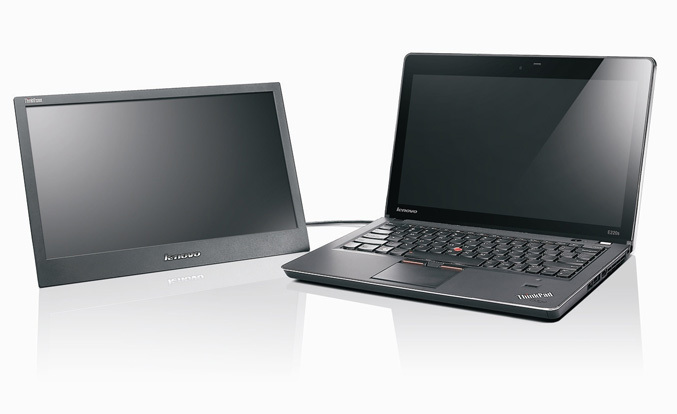 The ThinkVision LT1421 Wide mobile monitor weighs less than two pounds and is less than one centimeter thick, It offers a 14-inch viewing diagonal and connects to a PC or laptop via USB port. The portable monitor offers 16-levels of brightness, angle adjustable stand and is available for $219.99.